This achingly petite BD player claims to be the world’s smallest Blu-ray player and it’s more of a lifestyle statement than a traditional AV component. Available in trendy silver or gloss black, it’s a remarkable example of ‘Harry Potter’ engineering. Philips has created a thing of beauty with its 7 Series 3D Blu-ray deck. Finished in a greyish-silver and sporting a sculpted lip with illuminated soft-touch buttons, it’s a real step up from the humdrum. OPPO is not a brand that immediately springs to mind when you think high-end AV. But over the years, this largely anonymous outfit has consistently produced disc players that quietly over-deliver. The BDP-95EU is its latest and most ambitious model. Panasonic’s hard disk/Blu-ray recorders hark back to the day when video recording meant people could lend VHS tapes to friends and family, who’d missed an episode of Twin Peaks or the Christmas day broadcast of Back To The Future on BBC1. 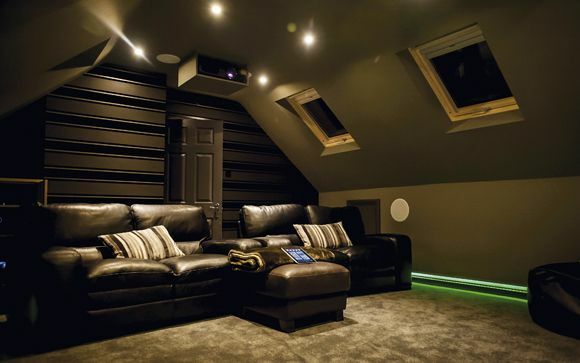 Unsurprisingly, 3D will continue to dominate the home cinema agenda in 2011, with a flood of 3D-capable TVs and Blu-ray products hitting the market as the year unfolds. Indeed, Panasonic’s new range of Blu-ray decks includes no fewer than four 3D-ready models. Blu-ray players are evolving. No longer is a straight HD upgrade to DVD enough to tempt cash-strapped buyers. We demand more from our kit; we want 3D, networking, rainbows and kittens. They say the best things come to those who wait and in the case of Oppo’s BDP-93EU, that most certainly is true. Having already forged a reputation amongst AV-holics for its high quality, yet affordable, upscaling DVD players, its debut Blu-ray player, the BDP-831, (HCC #175) impressed UK buyers at the end of 2009 before distribution issues spoilt the party. Ever the innovator, Panasonic has stuffed a shed load of new techno-tricks into this year’s Blu-ray decks and the DMP-BDT310 is the most advanced of the lot. Why take two hi-def sources into the shower when you can simply watch ‘n’ go with Samsung’s latest Blu-ray player/Freeview HD PVR combi? By forcing these two products into shared accommodation, Samsung is putting an unfeasible amount of content at your disposal, as well as saving you some space in your AV cabinet. Sharp’s first 3D player elicits gasps when you unpack it. The wafer-thin design, with black top-plate and gunmetal trim, is certainly dramatic. You can even choose how you want to use it: flat or vertical (a plastic stand is included). If the Oppo BDP-83SE NuForce Edition looks familiar, it’s because it is. This is a Special Edition of Oppo’s long-lost European Blu-ray debutant, the BDP-83, with some additional pixie dust from NuForce. This slimline beauty can not only play DVDs and Blu-ray discs, but also records them. Thanks to DVB-T2 technology, HD and SD digital TV programmes alike can be captured by the 250GB HDD. There are two such tuners, and so you can record two different channels at the same time or watch one while another records. Good news if your HDTV lacks a Freeview HD tuner.